Smart home system Smart-i is an intelligent security system with integrated CCTV cameras and security sensors also offers a control of devices remotely, you can easily control all via smartphone apps, it is a perfect protection system for modern living, as well as offices, warehouses and others objects. Three separate systems for CCTV cameras, alarm and electrical control, that means having three control systems and notifications, all through a single application in your smartphone / tablet. 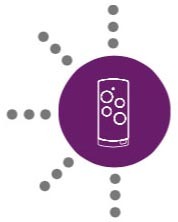 Smart-i gives a new dimension and flexibility of home monitoring and control in a fully integrated system with a unique control. 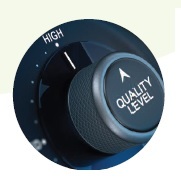 Nothing compares to quality, functionality and simplicity of Smart-i safety systems, they were created with a focus on easy using, and each detail is carefully premeditated and reconsidered at every stage of the design, testing and production. When are not at home, you may have unpleasant minds that cause doubts in your mind. Did I switch off coffee machine? Did I switch on the security alarm? Are children doing homework, or watching television? 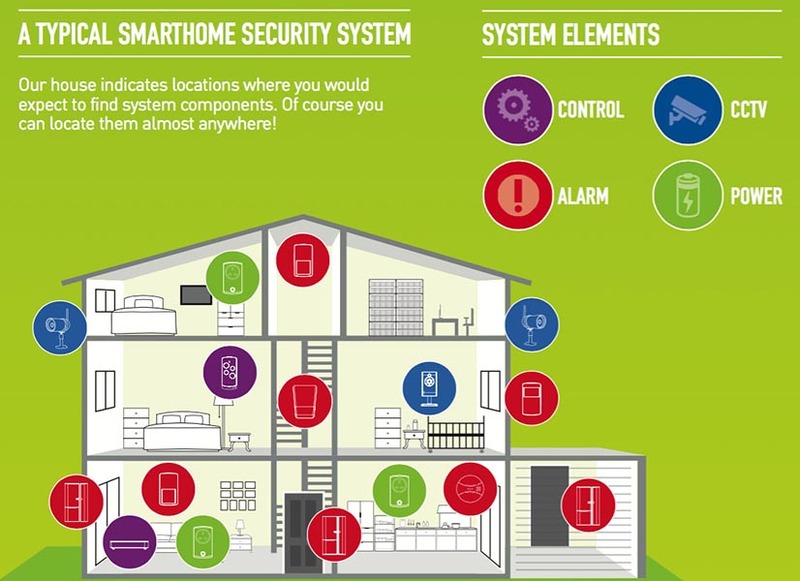 So with Smarthome security system you can forget about all these worries by quick look at the smartphone or tablet. Connect the equipment and devices in your home so that they can communicate with each other, and more important is that you can control everything via application of your smartphone. Any device in your home that uses electricity can be put into operation at your command. 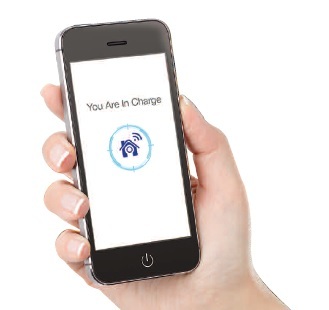 Whether you enter a command from your tablet or smartphone, your household responds. 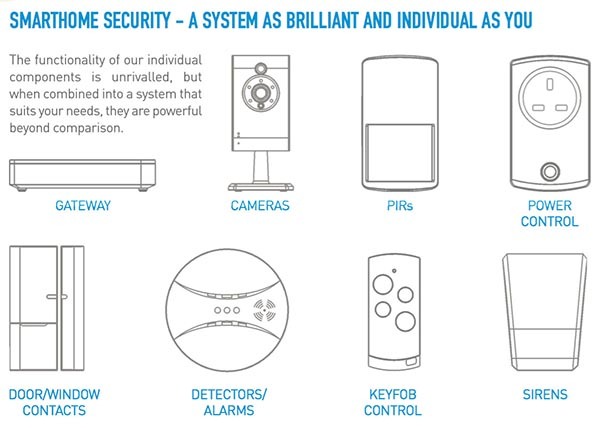 Smart-i provides lighting control, home security, electrical appliances, entertainment and CCTV. 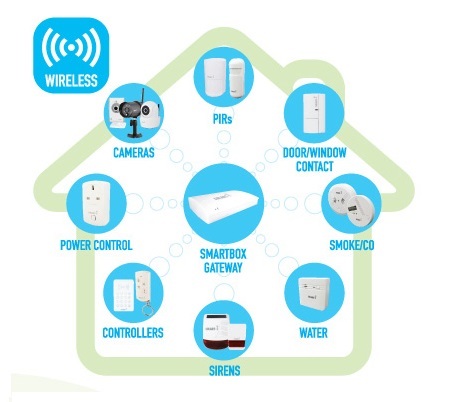 Smart Smart Gateway-it is the center of a system that enables wireless connection of up to 24 wireless devices and 4 Wi-Fi cameras. This enables remote controlling either through the application or keyring driver. Once is connected the Smart Gateway to the home router, the devices can be immediately paired via your smartphone and multifunctional application for iOS and Android. The cameras can be immediately connected to the Smart Gateway. Connection is wired or WIFI. Available are up to three models of cameras according to use. If you do not want to use 24/7 your smartphone, then keyring Smart Wireless Remote Control is the right choice for you. This allows easy control of basic functions, that are easily and quickly accessible. 1. You are at work and you receive a notification on your phone, that the smoke detector in the house has been activated. You can check the situation through CCTV camera, and see if there's a serious danger. 2. You're on holiday and you get a warning that the sensor on window has been activated. You can view live video on the phone to see if there is an intruder in your house, and give an accurate description to the police.